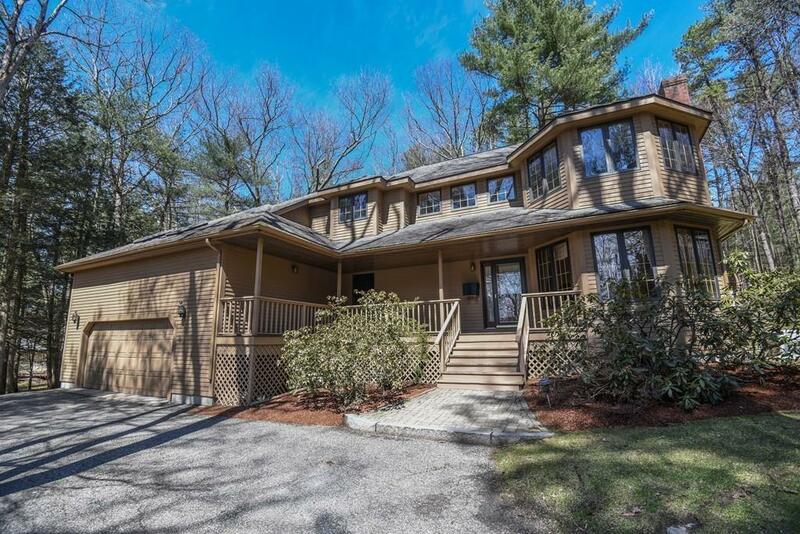 Discover this Amherst Woods contemporary, nestled in a private setting with circular drive, featuring lovely screened in-porch and private deck. Gracious floor plan, sunken living and dining room with fireplace, hardwood floors & maple kitchen with new stainless appliances and breakfast bar. There is room for the whole family; 4-5 bedrooms with a flexible living area and accessible mud room, laundry area. 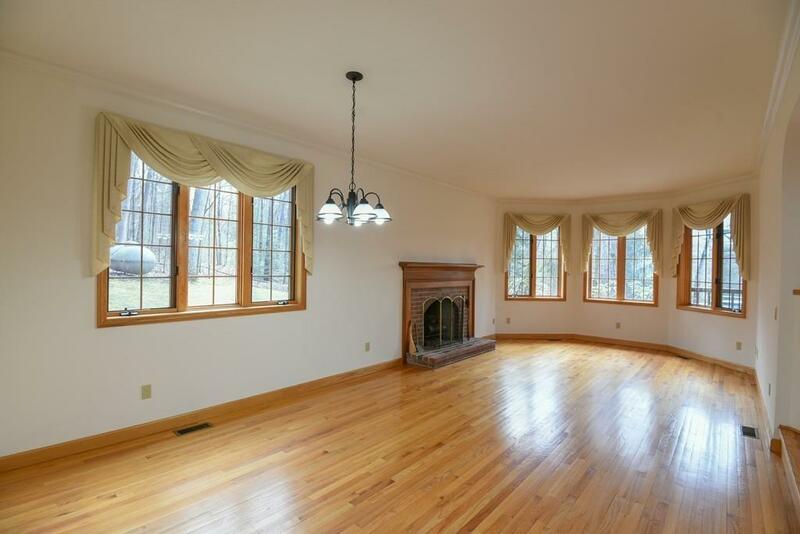 Separate bonus room with skylights would make a fantastic Studio, Au pair or In-law space. Central air, central vac, propane generator & walk out basement for great workshop. Solid construction by local builder, offering flexibility and a great living area in a fantastic neighborhood setting! 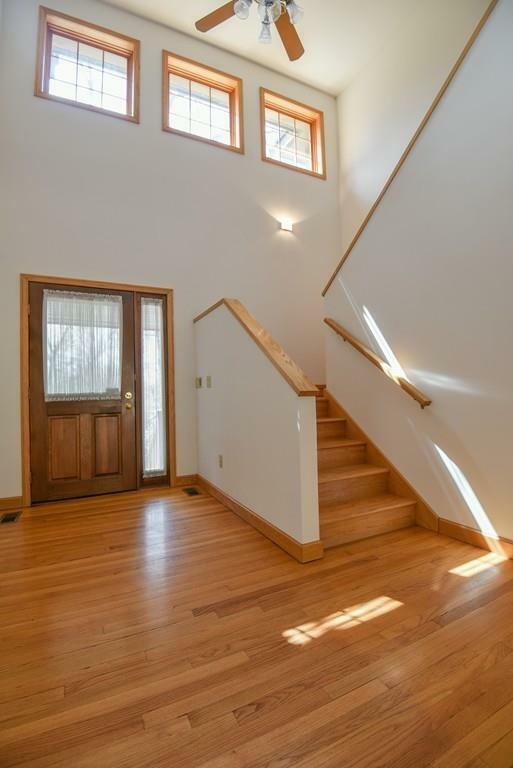 Open house Saturday 12-2. Come see! 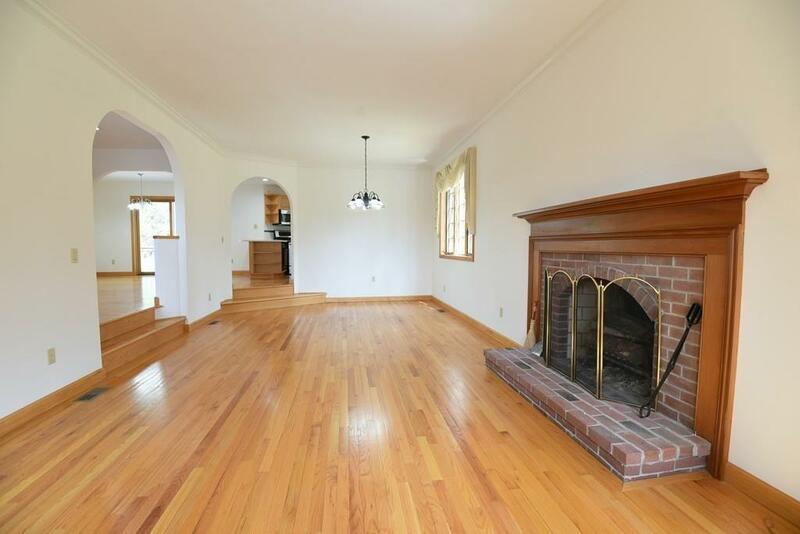 Listing courtesy of Christine Lau of 5 College Realtorsâ®. Listing provided courtesy of Christine Lau of 5 College Realtorsâ®.